Reside in the central area of Orchard Road at Royal Plaza on Scotts as you spend your time in Singapore. Located in the shopping hub of Singapore, Royal Plaza on Scotts offers easy access to the Orchard Road MRT station as it is a mere 3-minute walk away from the hotel. Spend the day shopping till you drop and the evening lounging by the pool or working on your fitness regime at the gym. 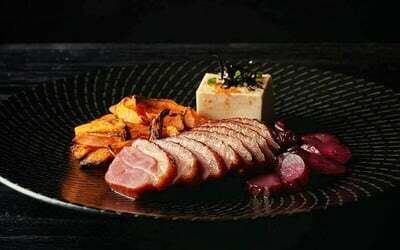 Dine in at the hotel's dining area or explore the Michelin- starred establishments such as Kam's Roast, Tim Ho Wan, and Tsuta that are located within the vicinity. Max. occupancy: 2 adults per room. Book by Aug 24, 2019. Travel Period: Apr 11 - 31, 2019. Valid only from Fri - Sun. All bookings must be made by Aug 24, 2019 and at least 7 working days prior to check-in.